Kaito's a guy who just wants the best for his students. Classroom Crisis took some weird directions in its middle episodes, but it still kept one thing consistent: the motivation for Kaito’s character. He’s a new teacher who doesn’t always know what he’s doing, but his heart is in the right place. He wants his students to experience the same things that he did in the rocket science program, and he’ll do whatever it takes to make sure that happens. I also relate to Kaito pretty strongly. 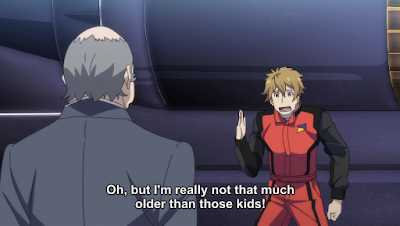 He’s in that weird middle ground where you’re not too much older than the kids you’re teaching, so you simultaneously feel really old and yet not that old at all. Kaito also approaches teaching in a similar way that I do, which is to say that we both focus on the cool stuff that we want to teach and frequently forget everything else. 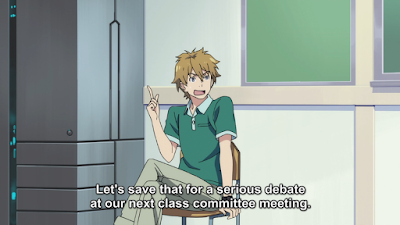 Kaito ended up being pushed to the side a bit as the major plot surrounding Nagisa got underway, but his optimism and naivety in the face of trying to stop corporate from crushing his students was what drew me to Classroom Crisis in the first place. It was nice to see a character that I related to effect the storyline in at least a thematic way. 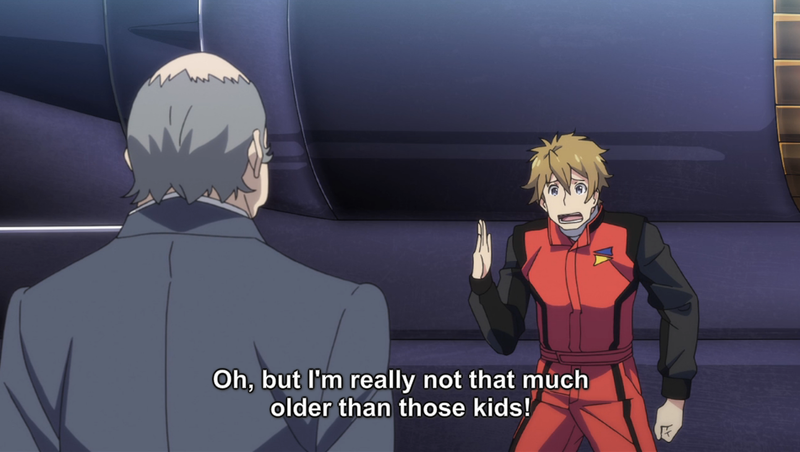 Screenshots are from Crunchyroll.com. Please support official simulcasts.